Smith & Wesson's MODEL 629 .44 MAGNUM HUNTER is the answer if you're ready to ditch your long gun and start hunting like a western badass. The Smith & Wesson Performance Center has a product line chock full of hunting handguns, but the MODEL 629 .44 MAGNUM HUNTER is a standout for handgun hunters. Created from the ground up with fine-tuned precision, the two-toned revolver is stainless steel and comes complete with a custom-tuned action, a dovetailed front sight, Picatinny rail, and a custom muzzle brake. 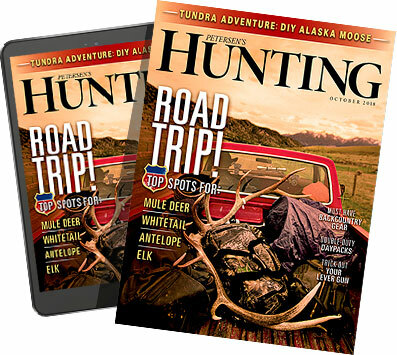 To see more of the best products out there, pick up the latest copy of Petersen's HUNTING at your local newsstand or subscribe to the print, digital edition or both.